Rev. Edward W. Gorman, CSV, died at the Villa Health Care Center in Sherman, Illinois on the morning of January 5, 1995. He was 85 years old. Born on January 3, 1910 in Peotone, Illinois, Ed attended St. Viator Academy and graduated from St. Viator College in 1933. He entered the Viatorian Novitiate in Lemont and pronounced his first vows on September 8, 1937. Ed completed his theological studies at Kenrick Seminary in St. Louis. He was ordained to the priesthood on May 22, 1941 by Samuel Cardinal Stritch in Chicago. Father Gorman’s early pastoral work was in various parishes in Chicago, including: Our Lady of Grace, St. Lucy, Our Lady of Victory and St. Viator. Ed also served as a chaplain at Mother of Sorrows Institute and the State Hospital in Kankakee. After serving on the faculty at Spalding High School in Peoria, Ed went to St. Joseph’s Parish in Springfield, which began a long and endearing association with the parish and the greater Springfield community. Father Gorman, as pastor, supervised the building of St. Joseph Church. 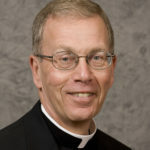 After leaving St. Joe’s, Ed served at St. Jude in Rochester, Illinois, and as the Diocesan Director of the Charismatic Renewal at the Franciscan Apostolic Center. He was Spiritual Director at the Springfield Diocesan Seminary. In more recent times Father Gorman served the Franciscan Sisters as their chaplain at their Motherhouse in Riverton, Illinois. 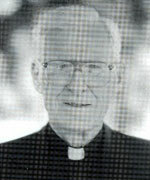 Father Gorman had lived at the Villa Health Care Center since 1991. A wake for Father Gorman was held at St. Joseph Church in Springfield Sunday, January 8, 1995 beginning at 1:00 PM and concluded with a wake service at 4:00 PM. 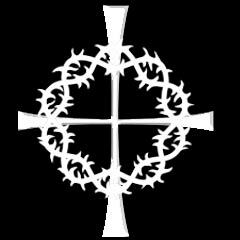 A Mass of Christian Burial was held at 10:00 am on Monday, January 9, 1995. The Mass of Christian Burial was also held at St. Joseph Church in Manteno, Illinois on Tuesday, January 10, 1995 at 10:30 am. Father Gorman was buried in a family plot at St. Joseph’s Cemetery in Manteno. Father Gorman is survived by his brother, James Gorman, and his sister, Rosann Carney. Please remember Doc Gorman in your prayers and gather together in local communities to remember him in Eucharist.